TAMPA TWO is on!! 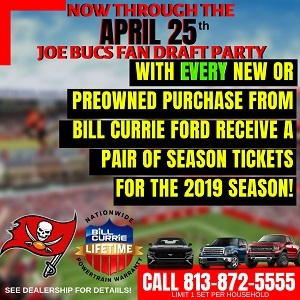 Derrick Brooks takes on the tough questions of the day — your questions — with sage columnist Ira Kaufman.Click below and enjoy this great production from The Identity Tampa Bay and JoeBucsFan.com, presented by Caldeco Air Conditioning & Heating. Someone should ask Derrick if he’d be interested in becoming the EVP/GM for the Bucs if the spot becomes open.